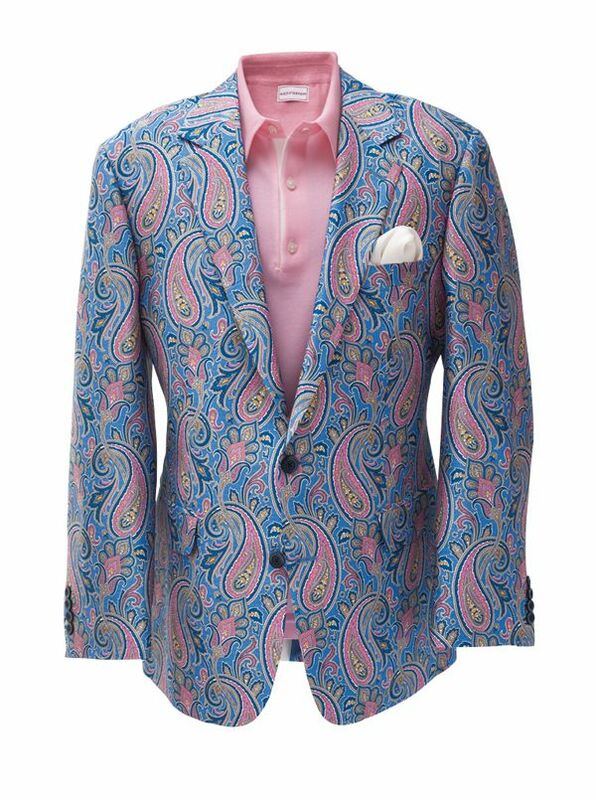 Silk Paisley Sport Jacket is a spirited expression of sartorial brilliance. Tailored in Canada of pure silk woven in Italy just for M&H. Two-button, soft shoulder model, with full lining, center vent.